If you type “SAP data migration options for Excel users” into Google, one of the first results that comes up is for Data Migration Scenarios is SAP Business ONE. This tells you that even with the lowest end SAP system, (effectively entry-class SAP B1) data migration is a big deal. Data migration is often viewed as a one time event, but through many conversations with SAP customers over the years, we have established that data migration is anything but a one time activity. This is one of the reasons that SAP has built a workbench tool inside SAP to assist technical users with loading data from legacy systems into SAP ERP. LSMW – SAP’s free Legacy System Migration Workbench is a great tool for certain tasks and is certainly a favored tool by IT and dyed-in-the-wool ABAP developers. However, it isn’t really the kind of tool that stands up to rigorous audit scrutiny and isn’t a tool that can be easily leveraged by business users. SAP positions LSMW as a tool for data conversion that permits loading data into your SAP ERP application using flat files extracted from legacy systems, (and those legacy systems could even be old or acquired SAP systems). 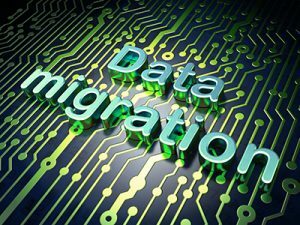 The need for data migration is driven by any number of triggering events. A change of systems, an upgrade, a business acquisition, a rationalization or consolidation of systems or even a transformation project that involves switching on SAP functionality that had previously been dormant. For example, we’re seeing customers replace their database with HANA, or consider switching to S/4 HANA. While the database replacement is perhaps not such a big deal, switching to S/4 HANA may involve abandoning their old installation of SAP and the instantiation of a new SAP system altogether. In your application data migration project, you’ll need to execute against a classic lean application data management program of PDCA. You’ll need to plan your data migration, perform the migration, check the outcome and then react to the result through additional actions. As many as five or more cycles of PDCA may occur in any given data migration project. Consulting services partners will provide a methodology for your data migration event, but there may be numerous data conversion incidents and checkpoints during the life-cycle of that event. Using custom data migration and conversion routines or even LSMW may be an effective way to perform the migration, but might not be particularly efficient. Winshuttle’s approach to data migration is a little different. Rather than focusing on specific data to migrate, Winshuttle’s approach starts with understanding who will do the data migrations, what the size of the data sets are, the number of iterations of migration and the speed and agility with which migration scenarios can be spun up and deployed. Winshuttle also takes into consideration how you will continue to maintain data post-go-live. Choosing a ‘free’ ABAP tool may seem like a very compelling option until you look at the hidden costs of maintaining your scenarios, dealing with audit management and the technical skills required to create and use those tools. Our research clearly indicates this is not a viable long term solution for SAP ERP users who have SAP application data management as part of their complete portfolio of responsibilities. One of the other big differentiators between ‘traditional’ IT and consultant offerings for data migration is that they almost always have to revert to text or comma/tab delimited data. This is incompatible for business users who maintain and gather data in a Microsoft Excel workbook. 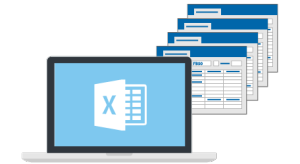 You want to consider an approach that lets you stay in Excel and simply connect Excel data to your SAP system – and Winshuttle Studio is the tool that helps you do that. 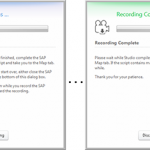 Studio allows you to create integration scenarios that are based on SAP transaction recordings or SAP standard (or custom) API’s (BAPI). 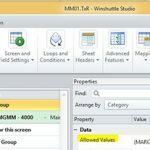 If you’re pulling data from a legacy SAP system before staging it and cleaning it up for a migration, then you could use the Query module functionality within Winshuttle Studio to extract data from SAP to a variety of staging platforms for data hygiene activities before loading the data back into SAP. If you have a migration project or you have ongoing data migration projects (as many SAP customers do), take a look at your options for data migration and consider post go-live or migration data management strategies. Using Winshuttle will not only accelerate your migration prototypes and proofing cycles, it will also ultimately save you a great deal of consultant and custom program costs and perhaps more importantly, it will put the power of Winshuttle integration with SAP ERP back into the hands of the people who own the data and data quality – the business users. To learn more about how you can accelerate and easily migrate data to SAP ERP read the white paper Best Practices for Data Loading into SAP. Want to learn more about Winshuttle Studio as a business user-friendly alternative to LSMW? Attend the “A Fast 3 Step Alternative to LSMW” webinar.